I love task cards. Most teachers do. 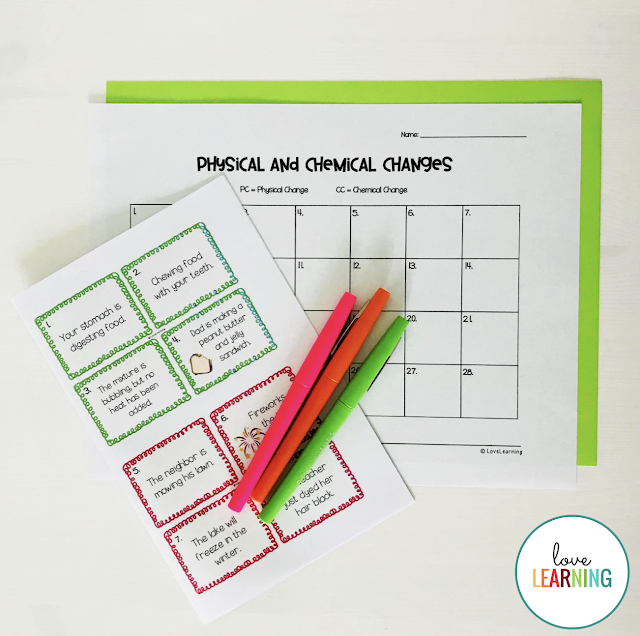 They are an easy way to reinforce concepts that have been taught in class, and once you print, laminate, and cut them out, you can use them for years! 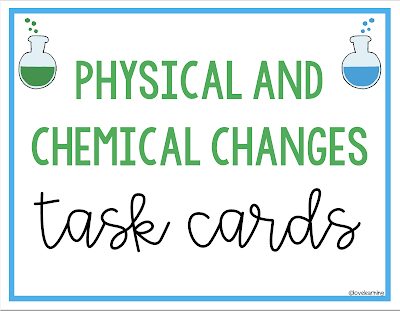 There have been (many) times; however, where I just did not have the drive or energy to do all that printing, laminating, and cutting of task cards. I am a little bit of what you call, a #procrastinator. Two years ago, I was planning my math lesson for the following day and found some task cards that made a great center activity. There was just no way that I had time to prep the task cards though, and I didn't want to print a set for each student. I started playing around with the printer settings in order to see if I could shrink the pages down a little and I found a little magical box called, "booklet." "GENIUS," I thought, "I'm going to turn these into a little booklet for the kids!" It worked out so well and made my teacher heart quite happy!! It was also an easy way to make up missing work for those students that did not finish in class or were absent. 1. This may not work with all task cards as the font is pretty small. 2. Your printer settings may not look exactly like mine. Play around with it! 3. It will take some trial and error. I have even gotten to the point where I cut out the the pages and glued them in the order that I needed, and then I ran copies for the kids. Keep that master copy! 2. Look through the document and decide which pages you want to print. 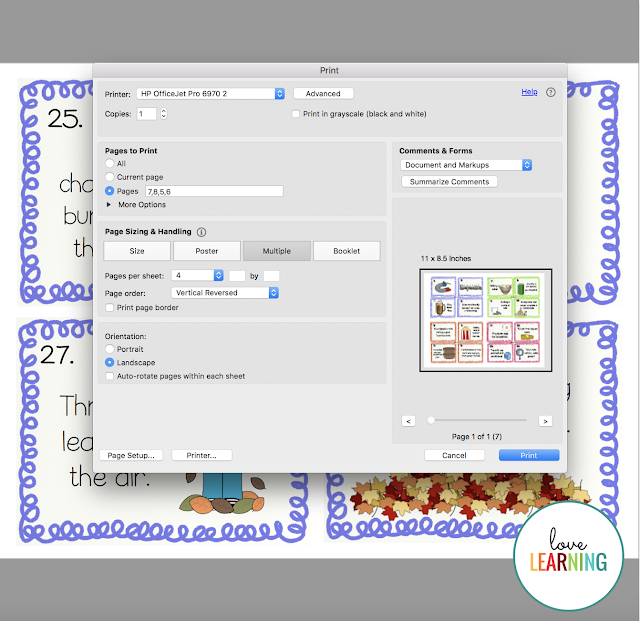 For my document, I will be making the booklet out of the task cards, and I will be printing the answer document full page. 3. Click on File, Print and look at the printing options. You should see an option that says "Multiple." I prefer this over "Booklet" because of the way that I want the pages to look. 4. Click on "Landscape" as your orientation and "Vertical Reversed" for the page order. This will be your first page and last page so choose your page numbers accordingly. 5. Use the same options for the next pages. In this screen, you can see that I chose to print pages 7 and 8, and THEN 5 and 6. This will make sure that my pages are in the correct order when the booklet is opened. 6. Print your answer document as a full page. It will make it easier to grade. 7. 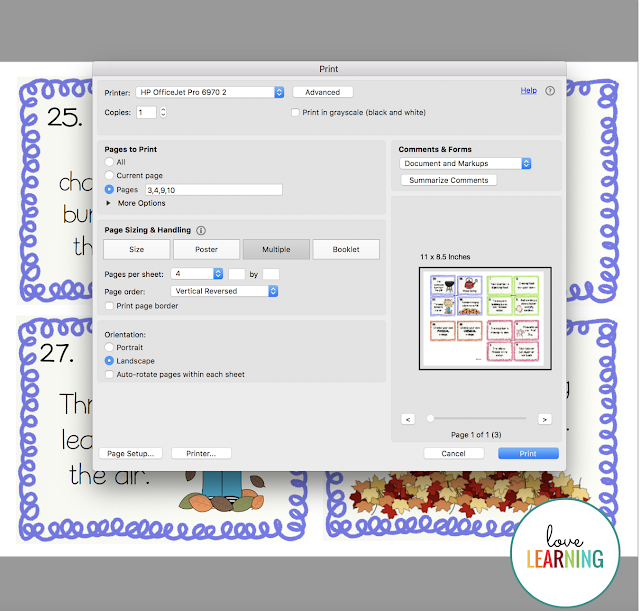 Put together the master and make copies for your students! 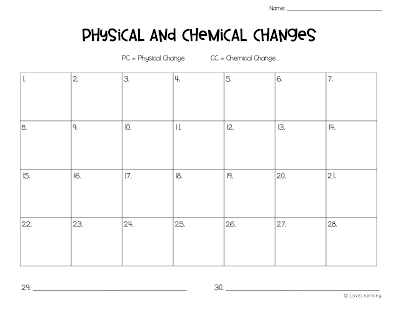 I hope this makes your teacher life just a LITTLE easier!